Friends, Calculator for getting rebate u/s 89(1) is ready for general use. This is applicable for the Financial Year 2016-17 or Assessment Year 2017-18. 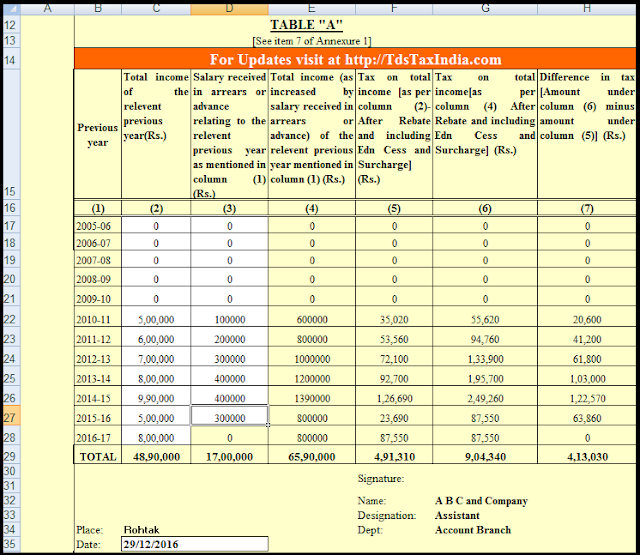 To download excel based above calculator (Click Here) or click on above picture.